Arutz Sheva analyst reveals Kerry's Jordan Valley security arrangements follow 'Allon Plan,' would be 'death-trap for Israel'. Arutz Sheva analyst Mark Langfan has warned that US Secretary of State John Kerry's "security arrangement" proposals for Israel are an updated version of the 1967 "Allon Plan," and place the country in strategic danger. In the arrangements Kerry has reportedly proposed in ongoing peace talks between Israel and the Palestinian Authority (PA), Israel would for 10 years partially retain the 15 kilometer (9 mile) wide strip of the Jordan Valley as a security zone. 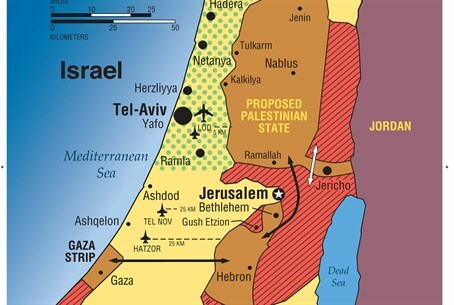 The arrangements have been reportedly rejected by both sides; PA Chairman Mahmoud Abbas opposed the plans for allowing Jews to remain in the area. Kerry's pressure on the PA to accept the plans by postponing terrorist prisoner releases led a senior PLO official to say Kerry's proposals for the Jordan Valley will lead to "total failure," after which Kerry announced he would return to Israel on Wednesday. Langfan, who heads Americans For a Safe Israel (AFSI), commented that Kerry's proposed arrangements follow the security plan drawn up by General Yigal Allon following the Six Day War. 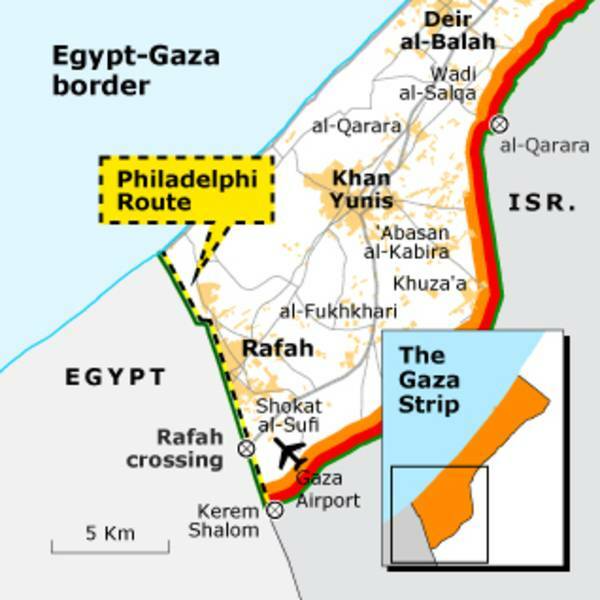 The AFSI Chairman warned that the arrangement threatens to become a "Philadelphi Corridor 2," referring to the failed security strip, which was tenuously kept by Israel between Gaza and Egypt after the disastrous "Disengagement" from Gaza in 2005. The corridor was later entirely abandoned under fire from Gaza-based terrorists. Kerry's arrangements are "a death-trap security plan for Israel," stressed Langfan, adding "people just don't understand the ‘Jordan Valley’ is the area of Judea and Samaria that's further away from Pre-1967 Israel, and with Western Samaria Highlands in Palestinian hands, the zone is essentially disconnected from Pre-1967 Israel." In Langfan's words, a modern day Allon Plan of the type proposed by Kerry "is just a false wrapping for 'Auschwitz 2.0 Borders.' The residual Israeli-occupied portion of the Jordan Valley will be surrounded, virtually impossible to access, and attacked from both the east and the west, and it will be just as militarily unsustainable as was Gaza's Philadelphi Corridor. It's a prescription for a Holocaust 2.0." Recently Major General Nitzan Alon, the Head of the IDF's Central Command, said the US has agreed to an Israeli security presence in the Jordan Valley. It should be noted that Kerry's Jordan Valley arrangements would keep an IDF presence in the region. 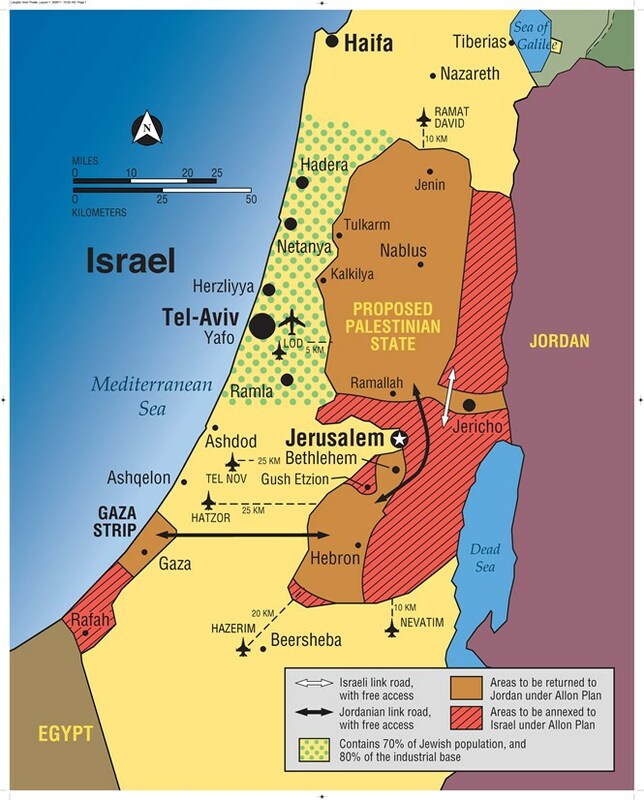 "In 1967, (General Yigal) Allon couldn't imagine, less plan for 1) protecting Israel's water resources flowing westward from Western Samaria; 2) air-space; 3) Palestinian terroristic use of Katyusha rockets from the ‘West Bank’ Terror state into Tel Aviv; or 4) massive influx of additional Palestinians into the new PA State. So for Israel, it's a literal 'dead-end' plan," remarked Langfan.